A flexible detector for terahertz frequencies (1000 gigahertz) has been developed by Chalmers researchers using graphene transistors on plastic substrates. It is the first of its kind, and can extend the use of terahertz technology to applications that will require flexible electronics, such as wireless sensor networks and wearable technology. The results are published in the scientific journal Applied Physics Letters. One challenge has long been to enable low weight and cheap applications. 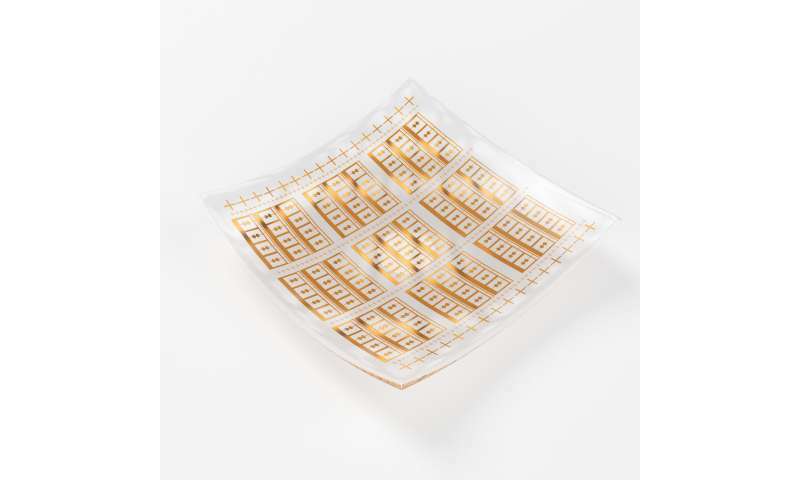 However, advances in polymer technology have promoted the development of flexible electronics and enabled the production of high frequency units on flexible substrates. The detector has unique features. At room temperature, it detects signals in the frequency range 330 to 500 gigahertz. It is translucent and flexible, and opens to a variety of applications. The technique can be used for imaging in the terahertz area (THz camera), but also for identifying different substances (sensor). It may also be of potential benefit in health care, where terahertz waves can be used to detect cancer. Other areas where the detector could be used are imaging sensors for vehicles or for wireless communications. The detector shows the concrete possibilities of graphene, a material that conduct electric current extremely well. It is a feature that makes graphene an attractive building block in fast electronics. The Chalmers researchers' work is therefore an important step forward for graphene in the terahertz area, and a breakthrough for high performance and cheap flexible terahertz technology. The detector drew attention at the EU Tallinn Digital Summit recently, where several important technological innovations made possible by graphene and related materials were on display. At the summit, EU Heads of State and Government gathered to discuss digital innovation and Europe's digital future. The flagship focus was to show what role graphene can play.